Ophthalmic Equipment Consignment - Vision Equipment Inc.
Do not accept a low-ball offer for your equipment. With our ophthalmic equipment consignment program we will market and sell your equipment for you. Many companies offer a fixed price low offer for your equipment. We will take it on consignment and sell it for you. We only take our cost and small commission. 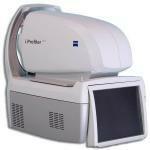 Consignment is now offered for both Ophthalmic and Optical lab equipment.